Ben was named as a Special Mention Associated Press All-State running back for the 2014 season. He was also named Detroit Free Press First Team All-State, Honorable Mention by the Detroit News, Lansing State Journal All-Area and CAAC Red Division All Conference. Ben took over as the top running back during his junior season on a team with an All-State quarterback and for of the best receivers Coach Rob Zimmerman had on a single team. The addition of Ben in the backfield allowed the passing game to flourish and left Ben to run up the middle for tough yardage. His size and strength would blast through arm tackles and his knack for bouncing off of tacklers allowed him to get many yards after initial hits. Heinritz is a north/south running back with subtle movements in direction to make tacklers miss. 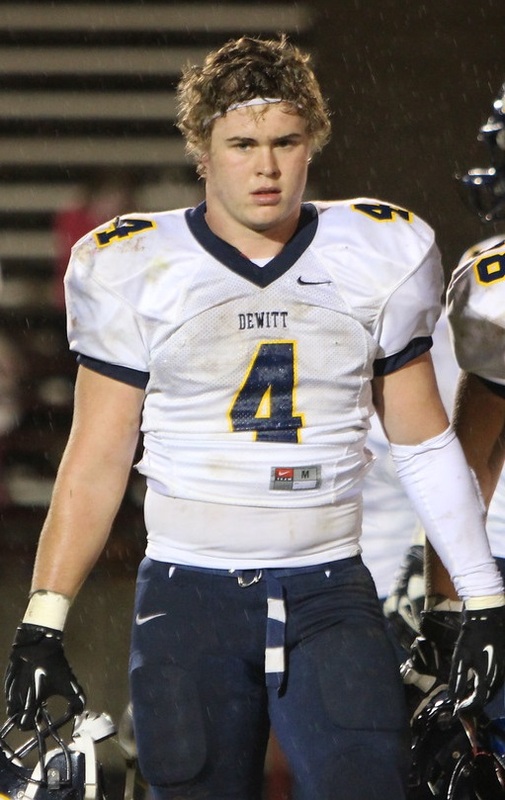 His running helped DeWitt to the 2013 state finals. His senior year the offense transitioned to a running game featuring Ben. His toughness led to him to carrying 200 times in eleven games and 1,243 with only losing 14 yards during the season. Heinritz blasted his way to 25 touchdowns. His 26th touchdown for the year was a punt block scoop-and-score against St. Johns. He also carried the ball 34 times for 183 rugged yards against Mason His junior year against Linden, he scored on a 93 yard burst off the left side. For his career, Ben carried the ball 365 times for 2,664 yards and 42 touchdowns. He is the first Panther All-State running back since Scott Simon in 1992.